Light & Darkness Radio: Featured Today! "October Tide, Paradise Lost..."
As you know I had today some encoder issues but L&D is back Live and fixed! 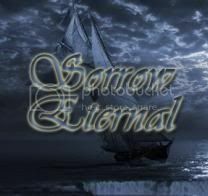 and special Thanks to Sorrow Eternal Blogspot thanks to their podcasts I been having more and more requests of bands they feature every EP! but enough chit-chat Here's Today Featured Bands! October Tide (SE) - October Tide originated with a 1995 demo tape created by Katatonia members Jonas Renkse and Fred Norrman. Much of the material was written during a break-up of Katatonia (which would end up being only temporary). In 1997 the two signed to VIC Records to release their debut, "Rain without End". In 1999 October Tide would release their second and last album entitled "Grey Dawn" which had Mårten Hansen (of A Canorous Quintet) replacing Renkse on vocal duties. The album received much deserved praise from fans and the media alike. Renkse and Norrman made a decision to not grant interviews nor tour whatsoever, which resulted in short lived public profile. These two albums continue to live on in the underground community and are widely regarded as two treasures to result from the temporary break-up of Katatonia. Despite staunchly refusing the notion of future material for an astounding 11 years, October Tide returned in early 2010 with a new line-up consisting of Fred Norrman on guitars, Tobias Netzell on vocals, Robin Bergh on drums and Jonas Kjellgren as a session bassist. Jonas Renkse is no longer participating in October Tide.